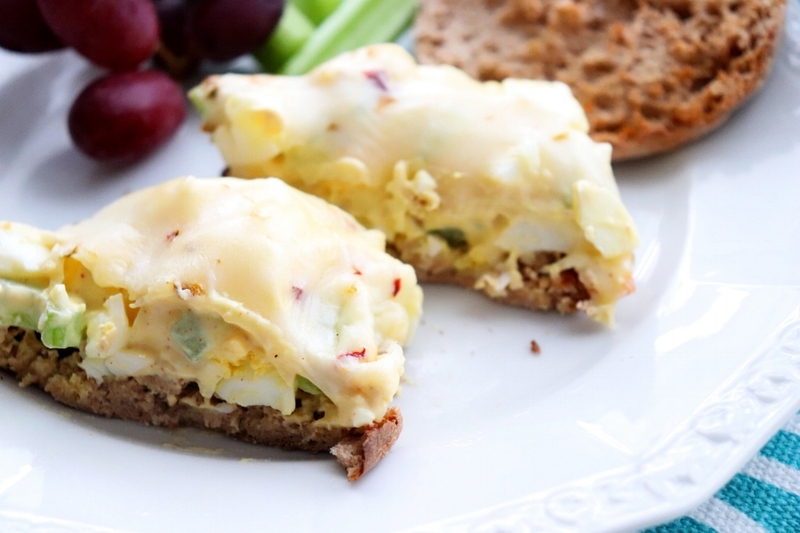 Spicy Egg Salad and Egg Salad Melt with a Kick! Egg salad with a touch of heat! Perfect for lunch, a light dinner, snack or even breakfast! This egg salad is just a little spicy. I'm not a fan of "take your breath away and break out in a sweat spicy" but do enjoy a little heat every now and then. 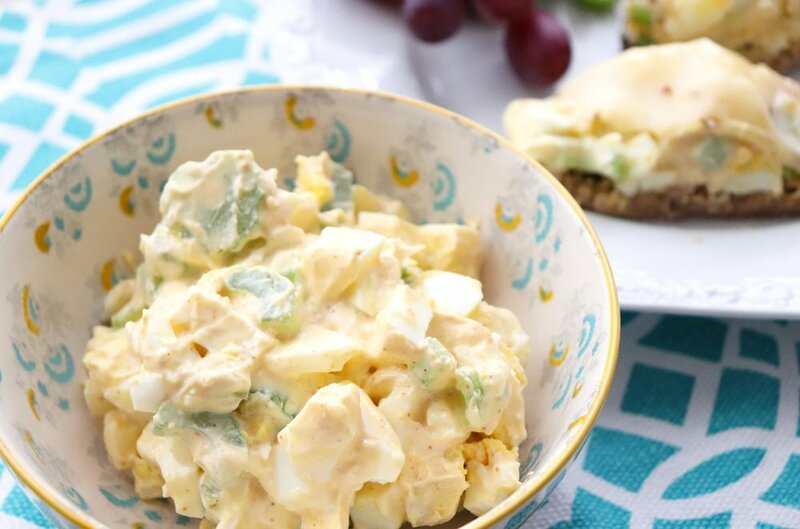 This recipe takes regular egg salad, but made with plain Greek yogurt instead of mayonnaise, and adds a little cayenne pepper and hot sauce to liven it up. Chopped celery adds a welcome cooling crunch. Eggs are such a great source of protein, supplying all 9 essential amino acids. Having a protein-packed breakfast and lunch can help you power through the day. Choosing something that is easy to prepare, affordable (15 cents per egg!) and delicious makes eating healthy a breeze! Simply add a whole grain such as bread or crackers, a piece of fruit and maybe some carrot or celery sticks and you're good to go! Chop the hard-boiled eggs and place in a large bowl. Add the chopped celery. In a medium sized bowl add the yogurt, Dijon mustard, cayenne pepper and hot sauce. Stir to combine. Spoon over the chopped eggs and celery and gently mix. Why should tuna have all the fun?? Try an Egg Salad Melt with a Kick by scooping the Spicy Egg Salad onto a lightly toasted English muffin, top with a slice of Pepper Jack cheese and broil until bubbly. Use whole-wheat English muffins for whole-grain and fiber goodness! Egg Salad Melt with a Kick! For another recipe with a touch of heat try the Buffalo Hummus!